Posted November 10, 2011 by grohling & filed under Archive, Events. 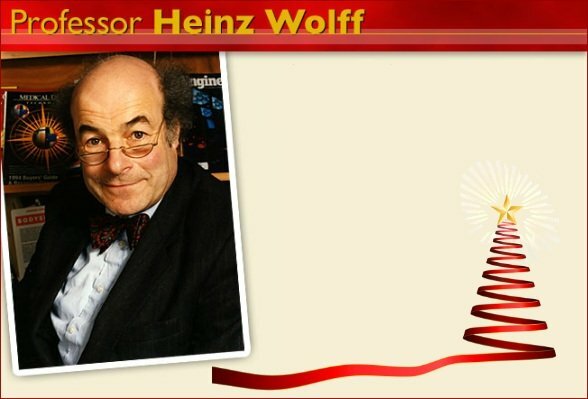 Professor Heinz Wolff is perhaps best known to the general public for his appearances in television series such as Young Scientist of the Year and The Great Egg Race. He is an entertaining and humorous speaker. He will carry out experiments in front of the audience and explain many of the solutions that science brings to our everyday lives which will be fascinating to both young and old in the audience. Bookings required for this event. Please follow the appropriate link below to register your attendance.